What is SmartCal and how to use it? 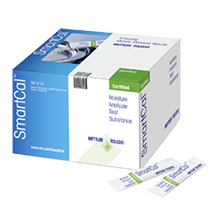 SmartCal™ is an innovative test substance that offers a fast and efficient way to verify moisture analyzer performance. Testing your moisture analyzer regularly with SmartCal ensures that your measurements are reliable and fulfill the demands of your industry’s regulations. Select the integrated SmartCal method on the instrument, distribute the contents of the test sachet evenly over the sample pan and start the measurement. After ten minutes, you know if your instrument’s performance is satisfactory or not. METTLER TOLEDO offers standard and certified SmartCal options, as well as SmartCal StarterPacs. Which accessories help to handle moisture samples correctly? The key to correct moisture determination is a correct sample preparation and distribution. 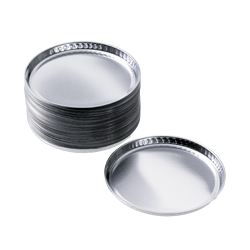 Samples need to be homogeneous and small, typically of a weight of no more than 3-5 g. Moreover, you sould always use clean and dry sample pans - METTLER TOLEDO aluminium sample pans ensure optimal conditions for moisture determination and glass fibre filters help with measuring moisture of liquid substances. Additionally, we offer textile cage for bulky samples (HA-Cage) and especially designed downholder, which ensures the samples remain in a correct position. 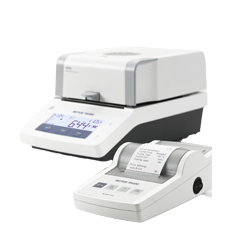 METTLER TOLEDO offers the complete range of accessories for Moisture Analyzers required for accurate and repeatable measurements. Thanks to their perfect surface finish, the aluminium sample pans ensure optimal testing conditions. The glass fibre filters prevent film building and simplify testing of liquid and pasty substances. 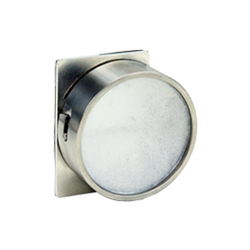 The dust filter protects the Moisture Analyzer in harsh production environments. The moisture guide provides information about the key points which are important for working with a moisture analyzer and obtaining best results.